Last Saturday, we held an event to mark the start of our major capital expansion. Guests included Sir Nicholas Serota CH, Chair of Arts Council England; Peter Horrocks CBE, Vice Chancellor of The Open University; Tom Emerson, Co-Director of 6a architects; Jack Kirkland, Main Board Director of Bowmer & Kirkland; City Club lead artists Gareth Jones and Nils Norman; and many past and present trustees and supporters of MK Gallery. MK Gallery expansion celebration, 21 October 2017. From left to right: Tom Emerson, 6 architects, Co-Director; Will Cousins, MK Gallery, Chair of the Board; Sir Nicholas Serota CH, Arts Council England, Chair of the Board; Jack Kirkland; Bowmer & Kirkland, Main Board Director; Anthony Spira, MK Gallery, Director. Photo: Jane Russell. 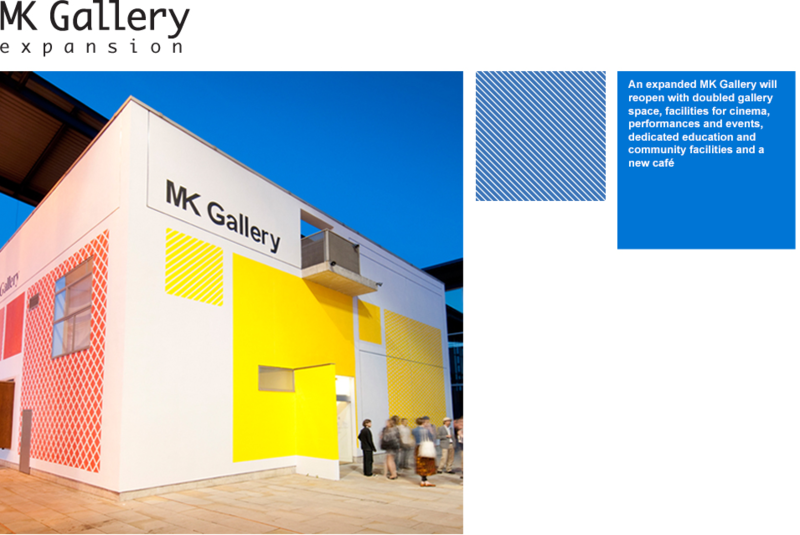 MK Gallery expansion celebration, 21 October 2017. From left to right: Anthony Spira. MK Gallery, Director; Judith Barker, SEMLEP, Programme and Assurance Manager; Dr. Ann Limb CBE DL. SEMLEP, Chair of the Board; Sir Nicholas Serota CH, Arts Council England, Chair of the Board; Councillor Liz Gifford, Milton Keynes Council, Cabinet member responsible for Place; Ian Revell, Milton Keynes Community Foundation, CEO. Guests celebrate the start of MK Gallery expansion works, 21 October 2017. Photo: Jane Russell. MK Gallery expansion celebration, 21 October 2017. From left to right: Nils Norman, City Club Lead Artist; Jack Kirkland; Bowmer & Kirkland, Main Board Director; Tom Emerson, 6 architects, Co-Director; Sir Nicholas Serota CH, Arts Council England, Chair of the Board; Anthony Spira, MK Gallery, Director; Gareth Jones, City Club Lead Artist. Photo: Jane Russell. View more photos from Saturday here.